Are walks with your dog getting a bit too routine? Same route, run into the same people and dogs, blah, blah, blah? Don't fret—the good folks at Modern Dog magazine have come up with eight fun ways to add zest to walks with your favorite canine. 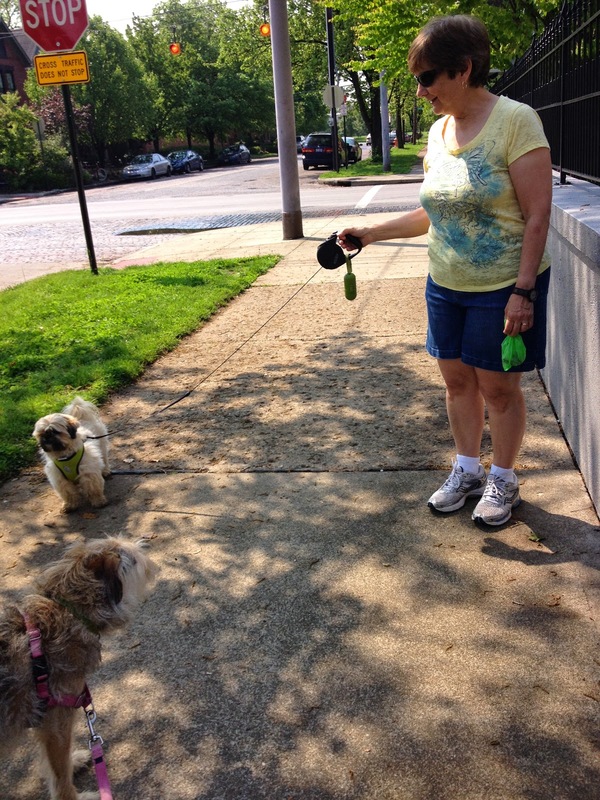 We tried one suggestion just today—add another dog to your walk. 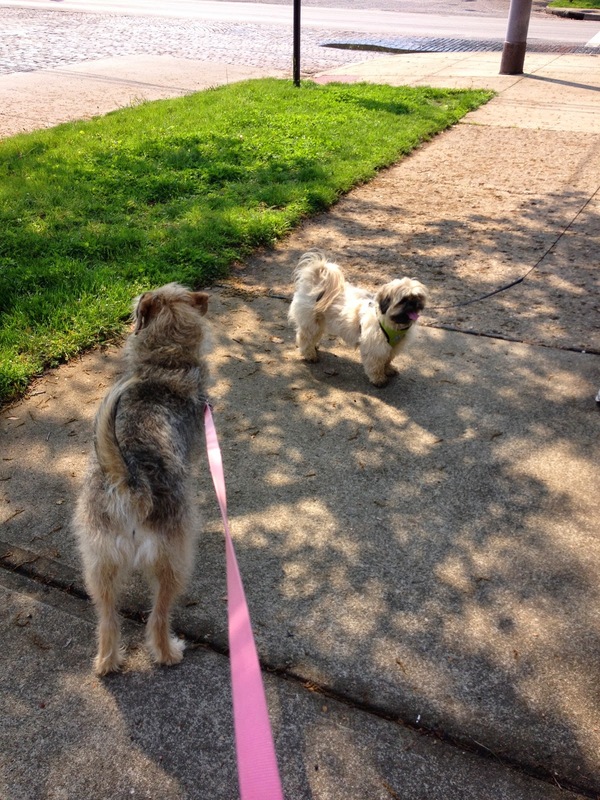 This is my first ever full walk with another pooch...meet our new friend Arianna! Parental Unit's good friend, Karen, just adopted an adorable and very well-mannered Shih Tzu named Arianna. She's super cute and friendly and I couldn't help but like her. Parental Unit is thrilled that we walked so well together. Enough about us! This article also recommends using your walks to sneak in some training time, socialize with other humans and dogs and simply mix it up by taking a new route. Let us know what tricks you use to keep your daily walks fresh. We'd love to know! We love walking a new route. Sunday is our day to switch it up!